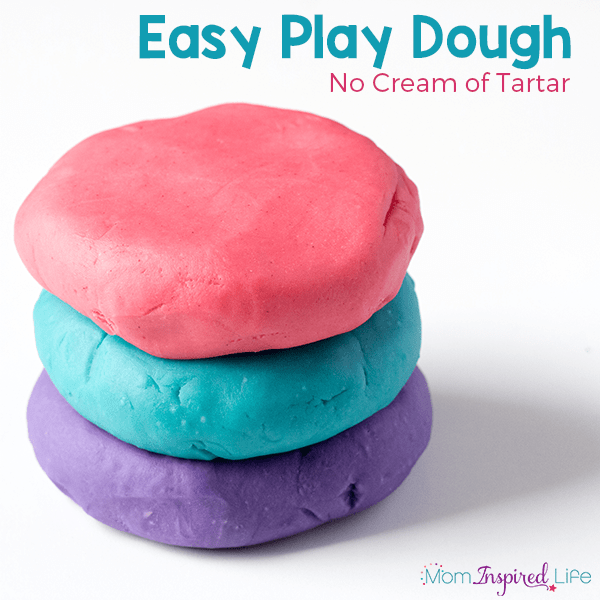 This play dough recipe is super easy to make and requires no cream of tartar. 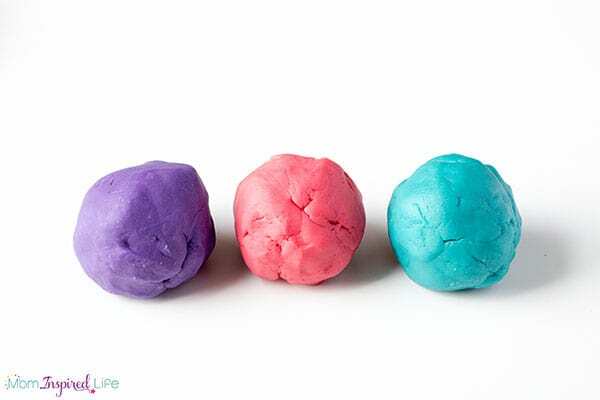 I can whip up a batch in about 5 minutes and have a totally customized play dough! I have never been one to make my own play dough. It seemed like too much work and required expensive supplies (like cream of tartar). It never really seemed that much cheaper than just buying a few cans for $0.99 at Meijer. When I did finally try to make my own I used a no cook recipe because that seemed more my speed. However, it failed. In a big way. Since then, I have always just bought play dough. 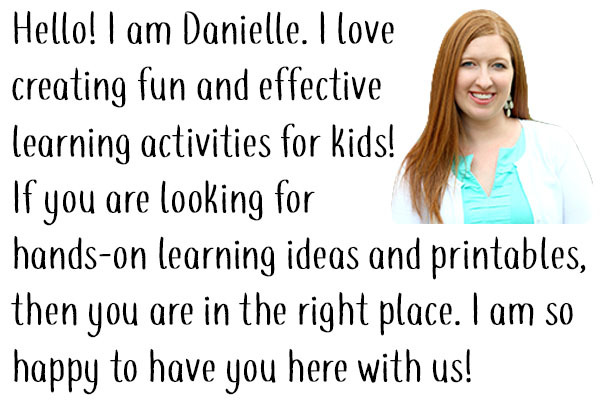 We use it all the time for play dough invitations – like this book inspired play dough invitation, this scarecrow play dough invitation and this ocean play dough. 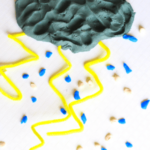 We even learned about weather with play dough. But one day I got the great idea to make my an apple pie play dough invitation. The only thing is, I wanted it to be a certain color and I definitely wanted it to smell like apple pie. And since you can’t buy apple pie smelling play dough, my only option was to make some. After trying a no cook recipe yet again, I decided no cook just wouldn’t work for me. And since I don’t want to buy cream of tartar in bulk for $20, I decided I needed to come up with an alternative. So I did some research and I learned that you can substitute vinegar or lemon juice for the cream of tartar. I figured lemon juice would smell better and hopefully would not overpower the apple pie smell. 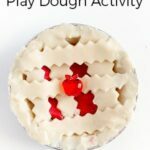 After 3 failed batches, I came up with this super easy play dough recipe that uses no cream of tartar! 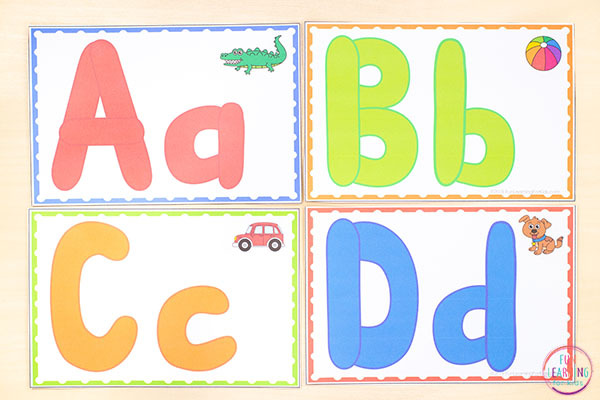 Make learning letters and their sounds a fun, hands-on experience when you get these FREE Alphabet Play Dough Mats. I also love using these super affordable airtight containers to store my play dough in the refrigerator. Add the water, oil and lemon juice to a medium non-stick pot and heat on medium heat on the stove (maybe even slightly lower heat depending on your stove). Add food coloring, liquid scents or Kool-Aid to the water mixture. In a mixing bowl, combine the flour, salt and any dry seasonings you are using. After the water is hot, but not boiling, slowly add the dry ingredients to the pot and while mixing to combine. I use a wooden or plastic cooking spoon. Continuously stir until the ingredients combine, dry out and begin to form a ball. If there are parts that seem a bit sticky still, just flatten the dough out and put the sticky side down on the bottom of the pot very briefly. Flip back and forth frequently until it doesn’t seem sticky anymore. However, don’t cook it too long. It is better to be a bit undercooked as it will firm up as it cools down. Place on a sheet of wax paper until it cools down a bit. Then knead the dough for a minute or two to bring it all together. This all happens quite quickly. 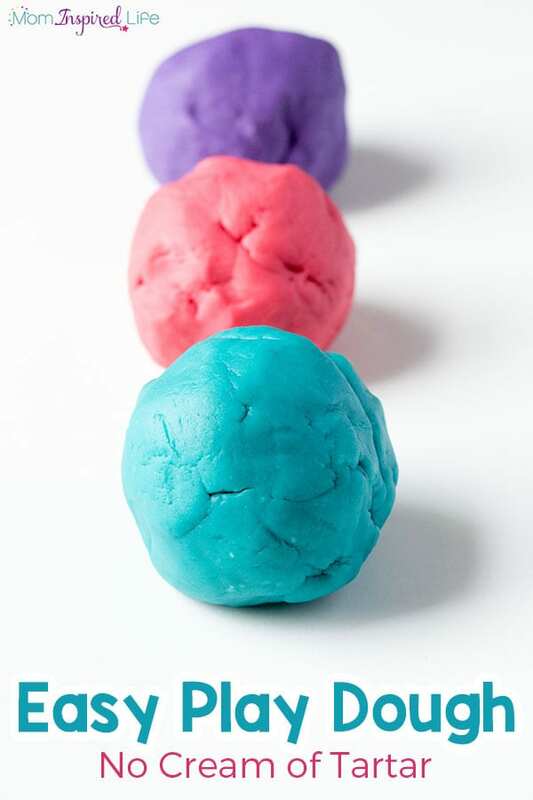 I can make a batch of play dough in less than 5 minutes and I am totally new to making play dough. 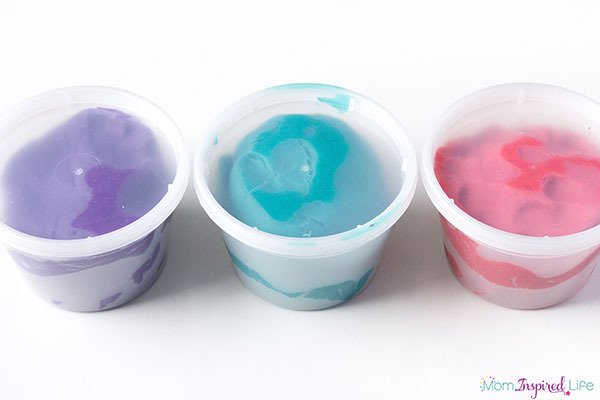 We used these neon gel food colors to make the blue and the purple play dough. I added several drops of these candy flavoring oils to them as well. My daughter wanted the grape in the purple play dough and my son wanted the cherry in his blue play dough. I only used the oils because I got them on clearance, but in the future I will use Kool-Aid to scent and color my play dough. 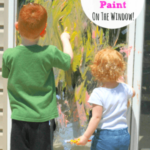 You can even had a few drops of food coloring for even more vibrant colors. The pinkish color smells like apple pie because my son combined my red apple play dough and the vanilla pastry play dough we used for our apple pie play dough activity. This play dough is so soft and amazing in the hands! I just love it! One batch makes enough to fill one of these 16 oz plastic air tight containers. These containers are my favorite play dough hack! I use them to store my play dough in the refrigerator so it lasts longer. 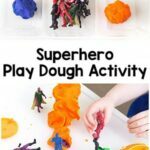 I hope you now feel empowered to make fun scented and colored play dough for your kids! 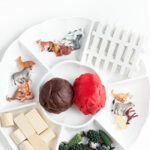 If you want to try a no cook play dough recipe instead, here is one without cream of tartar. 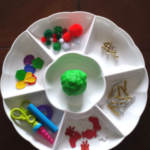 Here are some additional play dough activities you can do with this play dough recipe!